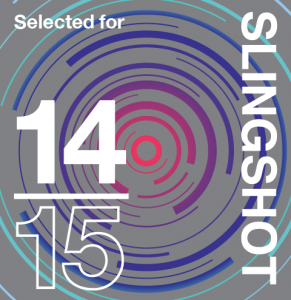 Eshel is to be named one of North America’s top 82 innovative Jewish organizations in the tenth annual Slingshot Guide. The Guide has become a go-to resource for volunteers, activists and donors looking for new opportunities and projects that, through their innovative nature, will ensure the Jewish community remains relevant and thriving. Selected from among hundreds of finalists reviewed by 112 professionals with expertise in grant-making and Jewish communal life, Eshel caught the Guide’s attention for its work reshaping the role of LGBTQ Jews in the Orthodox community and providing hope for a better future for the women, men, and teens that it serves. Organizations included in this year’s Guide were evaluated on their innovative approach, the impact they have in their work, the leadership they have in their sector, and their effectiveness at achieving results. Eshel is proud to be one of the six organizations serving the LGBTQ community honored in the Guide for meeting those standards. See the page! Slingshot is about inspiring Jews to get involved in the Jewish community. After ten years the book remains relevant because it is a megaphone for exciting and meaningful projects. The target reader of the guide is not involved in Jewish life, in part because they had no idea there were new meaningful Jewish projects springing up all around them. Organizations in Slingshot often receive added press and funding from those who read about them, but the deepest impact is on our readers who dog-ear and highlight their copy of Slingshot, excited about the potential of the Jewish community. This tenth year of the Guide year was more competitive than every year before, and the final product features the largest number of projects doing the widest variety of work.